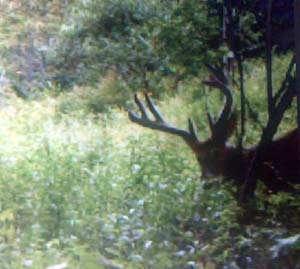 This buck I got on film in August of 2011 in Deposit, NY. I didn't see him at all this season... he's going to be a big one this year. He's 11 points in this pic with two lobster claws.